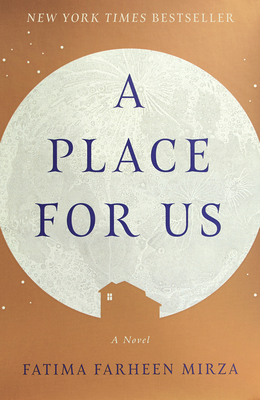 A Place for Us by Fatima Farheen Mirza is the first book published by the new SJP for Hogarth imprint. If you didn’t already know, you would never suspect this novel was written by an author, Fatima Farheen Mirza, only 26 years old. The tempo is unrushed, but not slow; each sentence careful, but direct, and the narrators’ voices are true, but not caricaturistic. The book opens with the wedding of Hadia, an American Muslim doctor in California. Her younger brother, Amar, has attended at her request after a long estrangement from the family. The tensions felt by the family are palpable as they all wish for nothing to ruin this day for Hadia. And Amar struggles. Though it seems the story will center around Hadia’s life up to this day, it instead recounts how the family dynamic, their culture and faith impact each of the siblings and their Indian-born parents. Though the book’s timeline is not linear, it provides both snapshots of singular events and beautifully wrought chapters of the conflict each family member experiences with their faith and place in a changing world. A timely and beautifully rendered story!